Design Engine Director Rod Graham this week visited a construction site at Poundbury to look at a range of bricks being considered for the Cedar Park project. 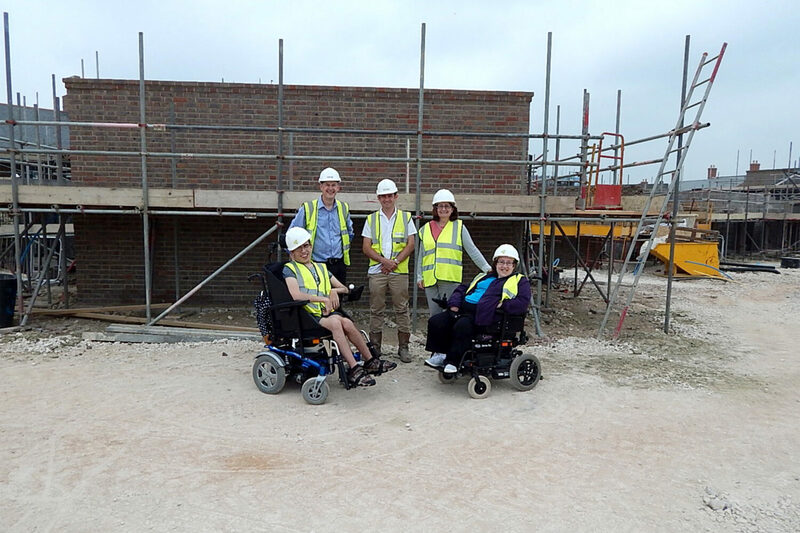 Our client, disability charity Enham Trust, brought along two members of their Client Design Panel and we had a very meaningful discussion with David Hughes of brick suppliers Taylor Maxwell about their suitability for our project. Our scheme for the regeneration of the Cedar Park estate, including a state of the art Neuro Rehabilitation Unit and the development of 81 new disabled accessible apartments and a new health and wellbeing centre, has been shortlisted for a 2016 Housing Design Award.